Seedstars brought more than 65 startups from all around the world including 9 from MENA in Switzerland last week at their annual summit to compete for a $1 million equity investment. The startups were selected after different local and regional Seedstars competitions around the world, with many of them in MENA including UAE, Bahrain, Egypt, Morocco, and Tunisia. All the winners of local competitions were flown to Lausanne in Switzerland where they participated in the three day event that included a bootcamp, one-to-one mentoring, and pitching. The final day of the event hosted more than 1000 people including investors and stakeholders from different startup ecosystems of the world. Eventually, twelve startups selected for final pitch competition. The only MENA startup that made it to the final twelve was Junkbot and it went on to win the Public Vote Prize. The prize as its name suggests was decided by the attendees who voted through the Seedstars app. 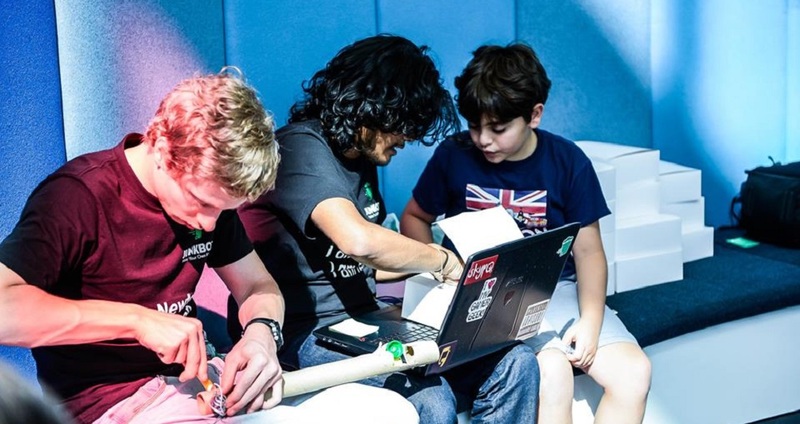 Founded in 2014 by a Dubai-based Mechanical Engineer, Ehteshamuddin P.A., Junkbot is a hardware startup that enables children to build robots and other devices from waste using its DIY kits and tutorials. The children can create working robots from different households objects like plastic bottles, coffee cups, wooden spoons, and cardboards. The robots can be programmed to perform different functions. In the process, children learn core STEAM concepts of analytical thinking, problem-solving, prototyping, lateral thinking, and building. The startup currently sells two versions of its kits, priced at AED 299 & 499 (USD 81 & 136). The children can use Junkbot’s kits to build and program the robots for any function they desire. Some children have used it to build functional vacuum cleaners that could actually clean the floors and surfaces. The startup is backed by Dubai Port’s Turn8 incubation program and has also participated in Berlin Hardware incubator program.